Hulda Regehr Clark (1928-2009) was a naturopath who claimed to be able to cure all cancer with treatments like the "liver flush." She died of multiple myeloma, cancer of the blood and bone, in 2009. * Her naturopathy degree was from the non-accredited Clayton College, but she did have a Ph.D. in zoology from the University of Minnesota (1958). Clark made many false and absurd health claims, including that all cancers, AIDS, and Alzheimer's disease are caused by the flatworm Fasciolopsis buski. Hookworms, she said, cause depression. In the tradition of Alfred Abrams, she promoted various quack devices, including the ParaZapper (for zapping parasites), which is marketed as a cure for athlete's foot, diarrhea, HIV/AIDS, and other illnesses. * (A new and improved model is also for sale.) This device allegedly generates "positive offset frequencies" and "kills all bacteria, viruses and parasites simultaneously" in seven minutes. "Her cases validate her tests and her tests validate her cases. The snake swallows its tail! There is no excuse whatever for her not to monitor her patients with standard methods such as X-Rays, MRI's, and valid antigen marker tests" (Steve Dunn). "Clark claims she can tell that patients are cured as soon as their ortho-phospho-tyrosine test is negative—within days or even a few hours after her treatment is begun. This claim is preposterous" (Steven Barrett). After some troubles with the law in the U.S., Clark set up shop in Tijuana, Mexico. Hulda Clark had many followers and supporters, despite the fact that she was a near total ignoramus regarding cancer and other forms of illness. This YouTube interview with Clark and commentary on her claims reveals the depth of her ineptitude. Why some people become cult-like followers of medical charlatans is not that difficult to understand. The late Barry Beyerstein provides a short and comprehensive explanation in his classic essay Why Bogus Therapies Seem to Work. The evidence and support for the ideas and devices of Hulda Clark come exclusively from testimonials. Even her own "research" seems to have been nothing more than her interpretations of data, which she never tested in scientific ways. Finally, just because the quack has been in business for many years should not be taken as evidence that she is not a charlatan. Many woo-woo promoters are outed, but few are prosecuted. Those who are prosecuted often just pay a fine, change a few words on the packaging, and are back in business in a matter of months. See also faith healing, Gerson therapy, and natural cancer cures. Cure Cancer the Natural Way....NOT! by Anne Harrington (W. W. Norton 2008). by R. Barker Bausell (Oxford 2007). Hulda Regehr Clark by William T. Jarvis, Ph.D.
Swiss Company Charged by FTC with Making Unsubstantiated Health Claims The Federal Trade Commission has charged a Switzerland-based company and its U.S. counterpart (Dr. Clark Research Association) with making numerous unsubstantiated efficacy claims for a variety of dietary supplements and devices that they sell on the Internet. 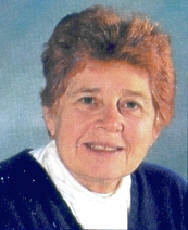 Hall, Harriet M.D. 2012. "CAM for Cancer: Preying on Desperate People," Skeptic, Volume 17 number 4. Questionable Cancer Therapies by Stephen Barrett, M.D. and Victor Herbert, M.D., J.D.